What began as a simple desire to help someone in need, has spread into something much larger. The idea, “Taking it to the Streets,” started as a Facebook page only months ago by organizer Linda Wurns to help the homeless of Toledo and spread some holiday cheer. 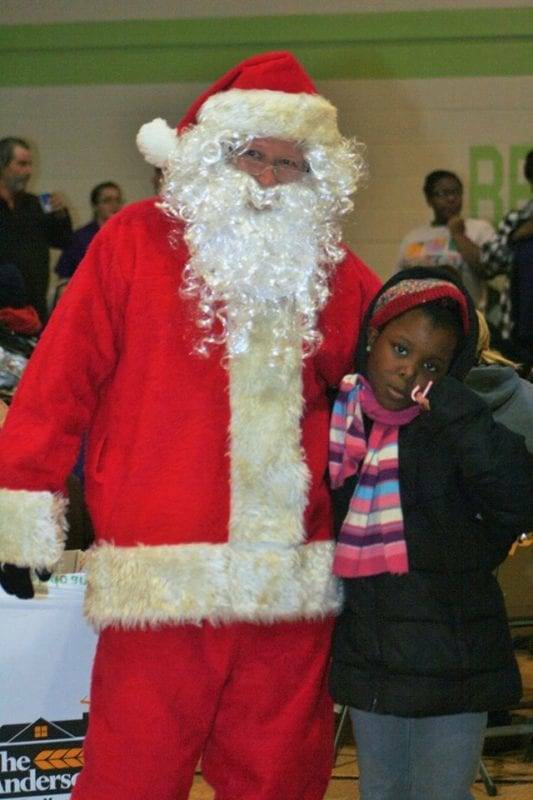 Last year, she and friend Marquita Woodring helped a struggling family celebrate Christmas. 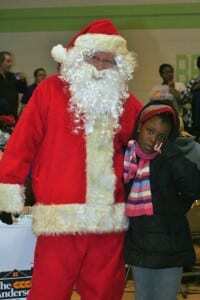 The feeling of helping others was something she wanted to do again this year but on a larger scale. In October, she mentioned the idea to a few close friends. In November, she posted the idea on her personal Facebook page. It was a simple post…she shared that for the holidays this year, she and a few friends were planning to load up her van with warm clothes, coats, shoes, hats, gloves, scarves, and food and take it to the streets of Toledo. She never could have imagined the power of that simple post to spread as it did. The message advertising that she had room for seven to join her quickly spread. Within an hour, she had 40 messages. Within two hours, she had 80 messages. Friends shared the posts with their friends who were also spreading the word. Within one week, 120 people had responded with interest in the project. When the response reached 350 people, it was suggested that a group page be created. The Facebook page, “Taking it to the streets,” was born and another 100 people jumped onboard to the idea. Wurns was terrified. “I had never planned for this and didn’t know how I could include all these people to share the experience!” Her friend Ryan Lamb encouraged her that she could do this. With his belief in her and the support and encouragement of friends, it gave her the strength and faith to push on with the idea. Donations began pouring in from all over including Michigan, Indiana, Georgia, and Florida. Over fifty businesses participated. The event date was set to happen December 8 at 1:30. Wurns and Woodring began making phone calls searching for a building to accommodate the event. Obstacle over obstacle was encountered but Wurns was not going to give up on her wish to help others. Finally, the week before the event, a building was located. The power of the internet once again proved resourceful. Raul Alvarado, a coach at Ayersville Local Schools, had joined the group Facebook page because he wanted his Lady Pilots Basketball Team to experience the project. Raul’s sister Linda Alvarado, who is the Director for Community Relations for the city of Toledo, was able to locate a building called “The Believe Center” on the corner of the Anthony Wayne Trail and South Avenue. Pam Waugh, Transportation Supervisor of the Wauseon Schools, joined the efforts. Although it was not possible for Fulton County busses to leave their districts, she tried contacting the Toledo schools and Washington Local but again they faced another obstacle as each replied they could not help. 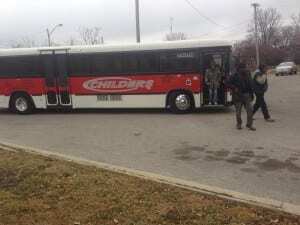 Waugh continued in her search until she found Childers Limousine Service on Door Street in Toledo. The Limousine Service offered two busses that could hold 55 people each. The event was prepared with food to feed 800 plus people. Warm clothes for men, women, children, and infants had been donated. 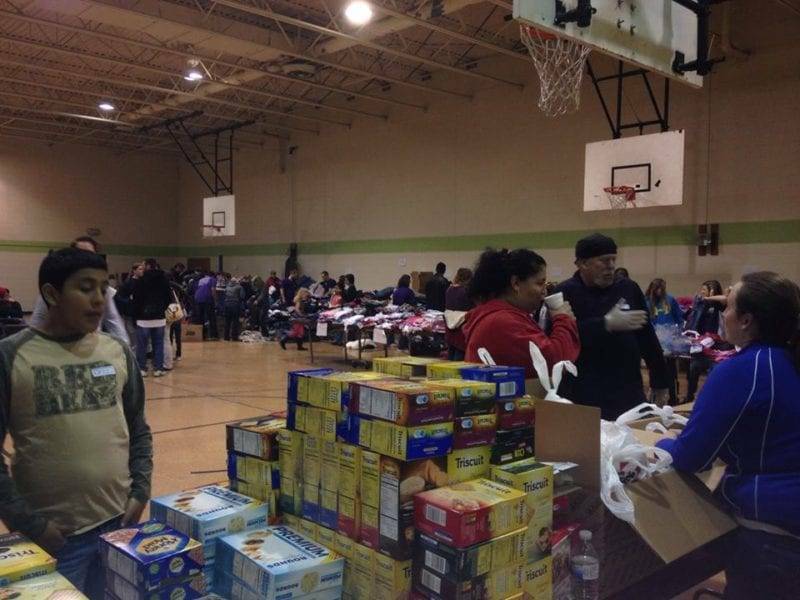 Coats, hats, gloves, scarves, shoes, boots, blankets, and sleeping bags, all things to keep those in need warm, were plentiful. Hygiene bags had been put together by Jackilyn Brown and the Morenci Cub Scout Pack 681. Lunches had been packed. Apples were donated by Johnston Fruit Farms, and cases of bottled water had been donated. A candy table for the children was set-up. Many non-perishable food items were available. In total, 52 businesses donated items. The Seagate Food Bank had designed a route for the buses the day of the event. Each stop was empty. Curt Badgley got off the bus at the Cherry Street Mission and walked the streets until he found homeless people nearby. He shared with them about the event. The responded that they had not known about the event, but they would spread the word. The bus drivers followed the lead of these homeless folks and found “Family House” where a load of homeless children were brought back to eat. Congresswoman Marcy Kaptur showed up for the event and even donated a blanket that was quickly claimed by a woman who felt honored to have something from Kaptur. 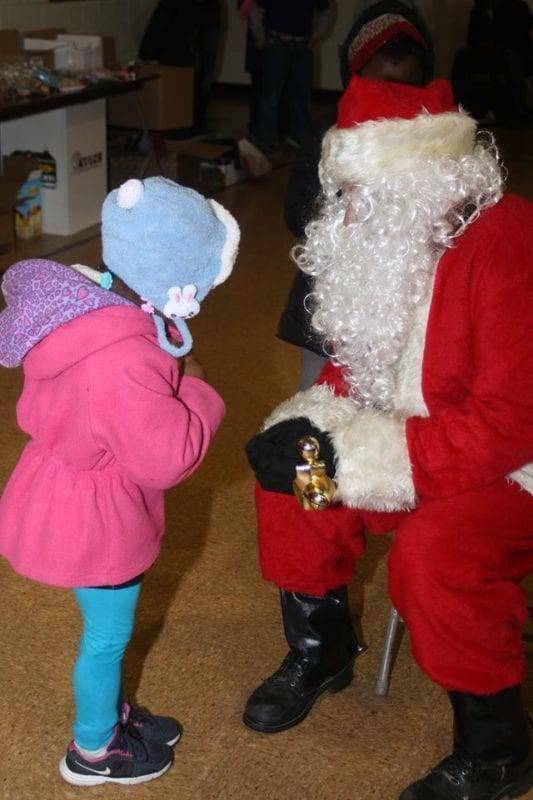 But perhaps, the most important visitor of all that day, especially to the children, was Santa himself. Wurns would like to thank the following sponsors for their support of this year’s events: Liberation Mobile Music, Candids by Shamra, Chief’s Supermarket, Nabisco – Mondelez International, Worthington Steel Delta, 3B Productions – Joe Barton, Walmart- Wauseon, Believe Center – Toledo, Childers Limousine Service Toledo, Seagate Food Bank – Deb Vas, Executive Director of Community Relations – Linda Alvarado, Premiere Entertainment Karaoke – Perrysburg, Allied Moulded Products Inc., Bimbo Bakeries, Lewis Bakeries, T&R Rentals LLC – Rick Espino, Outback Steakhouse – Toledo, T.G.I. Friday’s – Toledo, Little Debbie, Seyfert’s Potato Chips, Cub Scout Pack 681 – Morenci, Johnston’s fruit Farms – Swanton, Dennis Potato farm, Los Mariachi’s, Southern Breeze Salon, Beverlee Hillz Resale Boutique, Hoppin & troppin’ 4H Group, Suzy Q’s Concessions, St Joe Sand and Gravel LLC, Amigo’s Pizza, Frosty Haus Storage, Todd’s Odd Jobs/B&R painting & Powerwashing, Pizza Hut – Napoleon, Dunn Funeral Home, Dental Heath Associates – Swanton, Dental Excellence – Napoleon, Bowling Green Pediatric Dental – Dr Pace Dr. Sheperd DDS, and Marco’s Pizza in Toledo. 1 Comment on "Wauseon Woman “Takes It To The Streets” And Spreads The Christmas Spirit"
This story was followed by my wife and I in North Carolina. Linda Wurns is a very close friend of ours. We worked with her at AVI Food Systems when we lived in Ohio. We could not be any prouder of our friend and hope to be in Ohio next year to help with this project. There are many people that can learn alot of from her and whenever she puts her mind to something, its wide open go! We are saving all the clothes, coats and shoes we no longer wear to give to her. She is a miracle worker in our eyes.